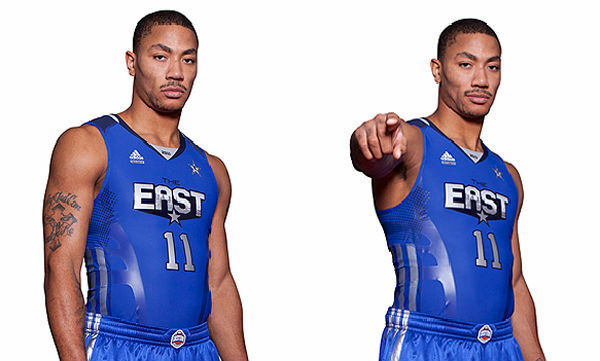 The Honest Charlatan: The NBA all-star game... are they really doing this? The NBA all-star game... are they really doing this? Rumor is, the all stars will be wearing an odd choice of outfits for the East vs West game. Some people might like it, some may not. It's actually the least appealing (in my opinion) of those. Apparently, players will have the option of wearing skin-tight jersey tops. Yeah, I know. Strange. I have created a list of the top players most likely to take up this offer. And the top players I will never give an all-star vote for, in fear of seeing them in it. I would not be surprised if the whole east starting line up ends up wearing the spandex, with Chris Bosh the awkward sixth wheel. The players from the Hawks and Celtics, man I hope not for respect's sake. The next most likely: Kobe Bryant, the borderline narcissist. And finally, Blake Griffin has the body for it, and would probably still even look slightly manly. It would probably be a smart way for him to make himself stick out. He has a great image going and his publicist should be all over that as a fairly safe way to keep it up.